When Microsoft brought Ubuntu to Windows 10, it was monumental. No, Microsoft wasn't abandoning its own operating system for Linux, but the company was showing developers that it was open-minded towards such things. Today, Microsoft is taking its embrace of Linux a step further. With Windows 10 Fall Creators Update, the company is delivering versions of three popular Linux distributions to its Windows Store. Yes, folks, Linux on Microsoft's app store -- shocking! For now, it will be limited to Fedora, Ubuntu, and SUSE. While this is great news for developers, there is another segment that can potentially benefit -- education. Think about it. The upcoming Windows 10 S operating system -- which is designed for students -- can only run apps from the Windows Store. If these learners need to get some lessons on Linux, they can do so from the comfort of Windows. Look, it simply isn't feasible for educators to dual-boot multiple operating systems or maintain multiple machines. A single Windows 10 S laptop can serve as a safe environment for learning both Microsoft's operating system and Linux -- how cool is that? The Linux community should applaud Microsoft for providing easier accessibility to the open source operating systems. 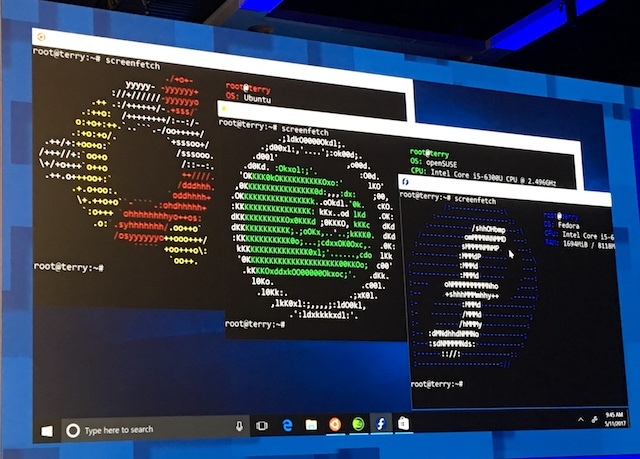 What do you think about Ubuntu, Fedora, and SUSE Linux distributions coming to Windows Store? Tell me in the comments below.